How will China's Pan Asian Gold Exchange Revolution​ize Gold and Silver Trading? Also on offer is the Silver contract which is a five hundred ounce silver mini contract. PAGE is not something that can be taken lightly as it is part of China’s 12th five year plan to catapult China to be the Global Superpower in Economics, Politics and Military. Currently Shanghai Gold Exchange and Shanghai Futures Exchange are the only avenues for an ordinary Chinese citizen to buy gold. With the PAGE, now they will be able to buy gold through their computers online. Initially the scheme will be open to the 320 million customers of the Agriculture Bank of China. Eventually foreigners will also be able to trade the International Spot Contracts on PAGE and hence this will help increase the liquidity of the market and certainly will have a big impact on both the LBMA and COMEX . With PAGE the purchaser will receive a 90 days International Spot Contract with the actual title bearing the name of the purchaser. All transactions initiated either by a local or foreigner will be denominated in RMB. Investors are given a choice to take physical delivery or get paid in RMB. The setting up of PAGE is not a ‘spurred of the moment’ event but a carefully crafted strategic development in the key areas of China’s planned financial dominance in the next few decades. China’s dominance in the Banking world have already been felt and currently the top three biggest bank by market capitalization in the world are Chinese, namely ICBC, CCB and the Agriculture Bank of China. This can be shown by the chart below. During the 1990s, out of the 10 largest banks in the world, 6 are Japanese and not even a single Chinese bank anywhere to be seen. In just a short time span of 20 years, China has already taken hold of the Global Banking Industry with 4 of its largest banks being in the top 10 rankings in the world. 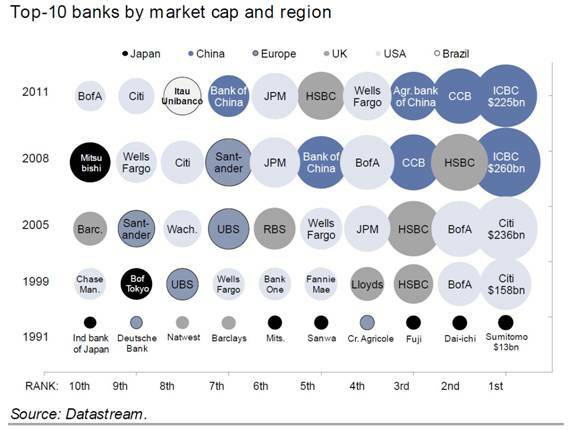 Even as recently as 2005 there is not even one Chinese Bank being represented in the top 10 and the speed in which the Chinese Banks dominating the global banking industry taken most analysts by surprise. Critics pointed out that it will be a rerun of the Japanese during the 1990s where today after 20 years there is not single Japanese Bank presence in the top 10 banks. However, it should be noted that the Chinese banks are unlike the Japanese banks during the 1990s where they are spending their money in buying up unproductive US assets like golf courses in California, Rockefeller Center in New York and a host of other expensive real estates around the US. It even leads to pundits warning of an ‘imminent Japanese takeover’ of American assets. However, the Chinese banks through their SOE (State Owned Enterprises) are buying up what they called the ‘hard assets’ or productive assets such as energy and mining companies, hugh blocks of agriculture lands in Africa, efficient and technologically advanced Western companies. Consequently, this will help to provide the necessary raw materials and technology to catapult its economic development to the next level. The development of PAGE is just ‘part and parcel’ of the natural progression in the Vertical and Horizontal Integration of different business within an industry and in this case the financial industry. Next on the cards will be the rolled out of Mega Chinese Investment Banks with the stature of JPMorgan and the likes and eventually Shanghai being the Financial Center of The World. What are the consequences when PAGE opens for international business in June 2012? FIRST, it will be the internationalization of the use of Renminbi, which will eventually replace the US dollar as an international reserve currency. This will further help promote the use of the Renminbi in the international arena and also help reduce the monopoly or dependence on the US dollar in the trading of precious metals. Since all trades in PAGE are denominated in RMB, a purchase by an international investor will initiate the buying of RMB and hence diversifying out of the dollar. Such a move will greatly help the Chinese Authority to promote the RMB as the next world’s reserve currency by exposing it more to foreigners. Currently most of the trading of precious metals in the world are dominated by LBMA and COMEX and are quoted in US dollars, pounds or Swiss francs. However all this will be history when PAGE starts trading because all settlements will be in RMB. This process will be further strengthened by the efforts of some countries in their abandonment of the US dollar as the international trade and reserve currency. Recently, during a meeting between the Japanese Prime Minister Yoshihiko Noda and Chinese Premier Wen Jiabao in Beijing, the Japanese government says that ‘Japan and China will promote direct trading of Yen and Yuan without using the US dollars and will encourage the development of a market for the exchange, to cut cost for companies’. The Japanese government further reiterated that Japan will start buying Chinese Bonds as of next year. Other headlines include ‘China, Russia drop dollar in bilateral trade’, ‘China and Iran to bypass dollar, plan Oil Barter System’, ‘India and Japan sign new $15 billion currency swap agreement’ and ‘Iran, Russia replace dollar and use Rial, Ruble in trade’. Austria has been granted the approval to purchase Chinese Bonds while Central Banks of Nigeria and Thailand are starting to buy Yuan denominated assets as returns from US and European assets are slowing down. 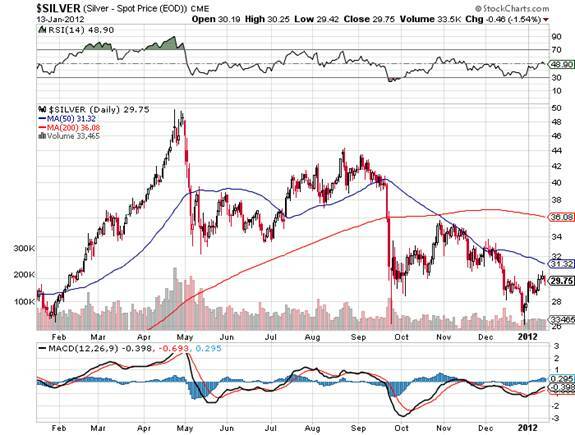 SECOND, currently the gold and silver prices are highly manipulated. As we know, gold all along had been the arch rival of ‘fiat currency’. What happens to fiat currencies when people start converting all their paper currencies to gold? That will be the end of the paper currency regime. Hence the authorities will do whatever they can to suppress the true value of gold so as to make it less attractive than ‘fiat currency’ even though most of their value had already been debased by more than 95%. This is because in a fully or partially Gold Backed economy, the authorities cannot increase the money supply of the economy by the simple act of Quantitative Easing or ‘Money Printing’ because any increase in the Money Supply had to be backed by the same amount of Gold. 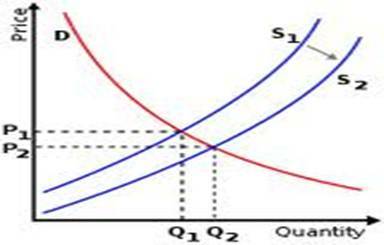 Hence any government without the ability to increase its money supply at its whim and fancy will not be able to monetize its debts and ‘Pump Prime’ its economy..
At the moment, in order to influence the Gold price downwards, all that needs to be done by the authorities in LBMA and COMEX , is to raise the margin requirements. Consequently, by raising the margin, traders who are unable to fulfill the margin calls will have to liquidate some of their positions. As a result, selling begets selling and this will further push the price of the metal lower which again will initiate another round of selling. This will go on until the price discovery rebalances due to the supply and demand will eventually be reached or what we call the equilibrium price. As a result of the margin hike, due to the margin calls more gold contracts will be available in the market for sale and hence will push the supply curve to the right from S1 to S2 and eventually a new equilibrium will be reached when the price settled at P2 and quantity at Q2. Evidence of market manipulation due to an increased in margin requirement can be illustrated with the following chart. Again the following chart shows how COMEX manipulates price of silver by increasing the margin requirements multiple times during the market takedown in May and again in September 2011. Take a look on how brutal the takedown on both occasions. Silver fell from a high of about $50 in May to about $32 (almost 40%) in about 3 weeks and again from about $40 to less than $26 in September in less than a week. Who are the gainers and losers in as a result of this? You bet, those on the losing side are always the uninformed ordinary folks while the informed insiders from the investment banks and brokers at the other end always escape unscratched. Sad to say, this is how the game is being played and the cycle will be repeated .When ordinary folks are down and out, the so call ‘Precious Metals Promoters’ or ‘Pump Primers’ will be out again to start a new cycle of market promotion. Together with the media, they will be calling for buy recommendations on precious metals. Again, it’s time for catchy phrases like ‘safe haven’, ‘time to backup your truck to load up’, ‘gold will touch $2000 by year end’, ‘its now or never to load up before the next run up’ and ‘industry experts says gold will head to the moon by next year’. It is a known fact that the Federal Reserve is providing funds to mega banks like JPMorgan, HSBC, Goldman Sachs, Morgan Stanley and other banks to manipulate the precious metals market. This is because a rise in the valuation of precious metals will do no good to fiat currencies especially when they are printing lots of it. End of manipulation of Precious Metals? In other words there will be a ‘sea change’ in the price discovery of gold because gold will soon be traded in a more transparent and level playing field. In the past the losers are mostly the small and uninformed investors who invested their honest and hard earned money. So, with the PAGE, it will in a way help regularize the price of Gold. The interesting point is what will happen to the price of Gold when LBMA and COMEX raised the margin requirement but on the other side the Chinese refuses to follow suit? This will cause a differential in the pricing of gold at both ends. Gold will be cheaper in the US and Europe due to the selling pressure from margin calls while on the other end it will be more expensive relative to the West. Eventually due to the price differentials, the supply and demand factors will work its way through the markets and the eventually the price of gold will converge or rather reach an equilibrium. Hence, it will be much more difficult for the powers to be to manipulate the gold market. FOURTH, by now most of us will know that the leverage of both the LBMA and COMEX are more than 30 to 1. On the other end, the Chinese PAGE is 100% back by physical gold and it is guaranteed by the Chinese government. Delivery of the physical gold will be made as effortless as possible because the contracts are in the actual name of the purchaser and the delivery cost for a 10 ounce mini gold bar will initially be price as little as RMB 332. Currently both the LBMA and COMEX are controlled by the banks. ETFs like GLD are run by HSBC while the SLV is run by JPMorgan. These ETFs are back mostly by paper and they are leverage by up to 30 times. That means that each transaction is backed by less than 4% in physical bullion. Eventually the Chinese system will put an end to such fractional practice because it is back by 1 to 1 and this means for every contract they sell they will allocate an equal amount of physical bullion to back it up. This process is called allocated gold and unlike the unallocated gold or paper backed being used by other exchanges. If investors realized that if they are able to get physical delivery of the bullions in this case through PAGE, then who is going to do business with those fraudsters, criminal bankers and ponzi scheme operators in New York and London? What will happen when investors in LBMA and COMEX find out that both exchanges are highly leveraged and back mostly by ‘paper gold’ and demanded for their physical delivery? This might lead to a ‘Gold Run’ in both exchanges and the end result might not just be an implosion of both exchanges but also all the banks that are controlling these exchanges. So, we are actually looking at another financial time bomb waiting to explode. FIFTH, there will be a large migration of investors from to West to the East upon the discovery that PAGE is 100% back by physical gold and contracts can easily be converted to physical delivery upon maturity. When that time arrives, the price of gold will be fully reflected to its true value and will ‘go through the roof’. Hence, it will be the end of an era where the price of gold is determined by ‘paper gold’ and eventually it will be determined by what it should be and that is ‘physical gold’ and the real market forces of supply and demand . Currently the only measure for Silver and Gold are based on the traditional perceived value of the metals. Silver is supposed to be valued at 1:16 to the price of gold. As of last Friday, the price of gold was last traded at $1639 and by using the above formula, the price of silver should be valued at $102.43 ($1639/16). However, as of last Friday’s closing, the price of silver only traded at $29.77. What happen to the discount of about $72.66? If it is not due to manipulation, the price of Silver today should be at least $102.43. The same goes for gold. There has been some consensus among analysts that the price of gold should be at parity with the value of the DOW because when you look at the Gold chart for the past 200 years, there a few occasions, Gold and the DOW tends to converge to parity. At last Friday’s closing the DOW maintained at 12422 points. So, by using the parity to DOW valuation, we will have three different scenarios in pricing gold. Scenario one will be for the DOW to retreat until it reaches parity with the price of gold which is 1639. Scenario two will be for the price of gold to rise until it reaches parity with the DOW which is $12,422. So again, this explains why the current gold price is not being truly reflected and it’s due to the price manipulation by the paper gold syndicates. The hilarity at the moment is that while governments in the Western world are fighting over ‘who is bailing out who’ and ‘should we or they print’, the rest of the world are making rock solid deals not only to strengthened their economic cooperation but also enhances the process of ‘Globalization’. What we will be seeing in a decade or two from now will be the continued abandonment of the dollar (if it’s still being the reserve currency) and decadence of the Western world. This will eventually threaten the collapse of the Social Security Net that has been in existence over the last 150 years. By establishing the PAGE, the Chinese authorities also hope to establish an over the counter gold market. Each morning at 8.00am, the price of gold will be set by six major Chinese banks which include the ‘Big Four’, namely Bank of China, The China Construction Bank, The Industrial and Commercial Bank of China and the Agriculture Bank of China. Instead of letting the LBMA and COMEX setting the price of gold, the Chinese will have the upper hand due to the time differences. As we know ‘The Sun rises in the East and sets in the West’, hence by setting the opening price of gold to be traded in the morning, the Chinese indirectly sets the ‘benchmark trading price’ of the day. Of course, one might argue that syndicates in the west may have the last say on the price and lower it at the close of trading but this will now have to backed by physical delivery if eastern purchases continue. As you recalled, China had been promoting the ownership of gold among its citizens for the past two years. China has installed its first Gold Vending machine on the 1st week of October, to join other countries such as USA, Germany, and the United Arab Emirates in hosting an ATM machine that dispenses Gold coins and bullion. The public can now purchase certified gold coins with credit cards and cash through such machines. The Chinese government is keen to promote the sales of gold in the country and its effort has seen an increase in demand for gold by 27% last year. A report by World Gold Council in May 2011, showed that China has taken over India as the world’s largest gold consumer, consuming about 91 tons which translates to about an increase of about 21% year on year. Such a move to promote savings among the public is of vital importance. By raising the ownership of gold among its citizens, China is essentially ‘killing two birds with one stone’. ONE, it will help to balance off China’s low Gold/Forex Reserves. If you look at the World Gold Council’s Dec,2010 chart for Gold/Forex reserves below, you will notice that the biggest holder of gold/forex are the Eurozone countries and US. Asian countries have the lowest Gold/Forex ratio even though China, India and Japan have one of the largest tonnage of gold in its reserve. China’s Gold/Forex ratio only stands at 1.7%. TWO, when the PAGE starts trading in June, it will put tremendous pressure on the price of gold in the physical market because investors are able to receive physical gold. When the price of gold rises it will automatically recalibrate upwards the wealth of millions of Chinese who invested in Gold during the past two years. And it will also automatically increase the standard of living of millions of Chinese. One thing for sure is that PAGE is preparing the world for a Chinese World Reserve Currency, in this case the Renminbi. 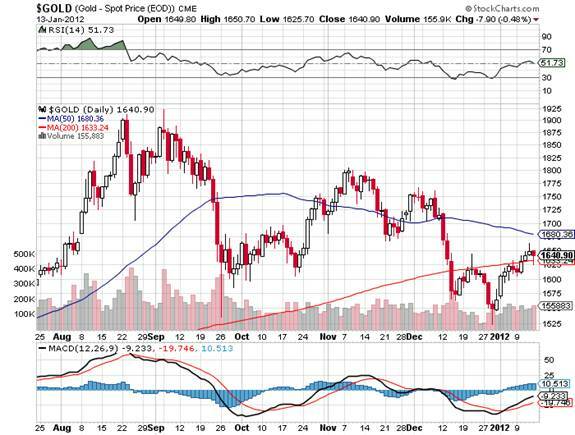 PAGE will help rectify the current imbalances in both gold and silver prices. Their prices had been artificially held down illegally for years by banks and brokerages. Food for thought, imagine what will happen to the price when only 1 % of the Customers in Agriculture Bank of China (3.2 million) purchased one mini contract of gold and silver? A 10 ounce Gold mini contract times by 3.2 million is equivalent to 32 million ounces of Gold and a 500 ounce Silver mini contract times by 3.2 million is equivalent to 1.6 billion ounces of silver. What will this do to prices of Gold and Silver? On top of this, there is the Pan Asian Metals Exchange (PAME), which has already made its debut July last year. Since its inception last year, six non ferrous metals have been introduced to the exchange for trading namely silver, indium, germanium, tungsten, beryllium and silicon. This is part of China’s 12th five year plan to gain control of the Global Metals Trade. A final note, this important development will definitely be the ‘Game Changer’ of things to come and definitely cannot be taken lightly.